It’s been an amusing weekend, starting with the recent Australian – published leaks against Abbott, identifying a Biggles – style desire to bash up ISIS with a unilateral campaign. What was especially amusing was to see Joe Hockey, Matthias Cormann and Tony Abbott assert in no uncertain terms that the Oz was wrong. Ever helpful, Andrew Captain Timestamp Bolt came in with the support that the timeline was all wrong (provided by one of those annoying Liberal #auspol zombies who repeat talking points with monotonous regularity). Not so amusing for Abbott, however, with the leaks against him continuing, indicating that we still don’t have this new, settled “good government”. It also brought to my mind a piece written last Sunday by Judith Ireland that presented future Liberal leader Scott Morrison through a frosted lens. It struck me at the time as a way to start the process of making Morrison a palatable alternative leader into the future. 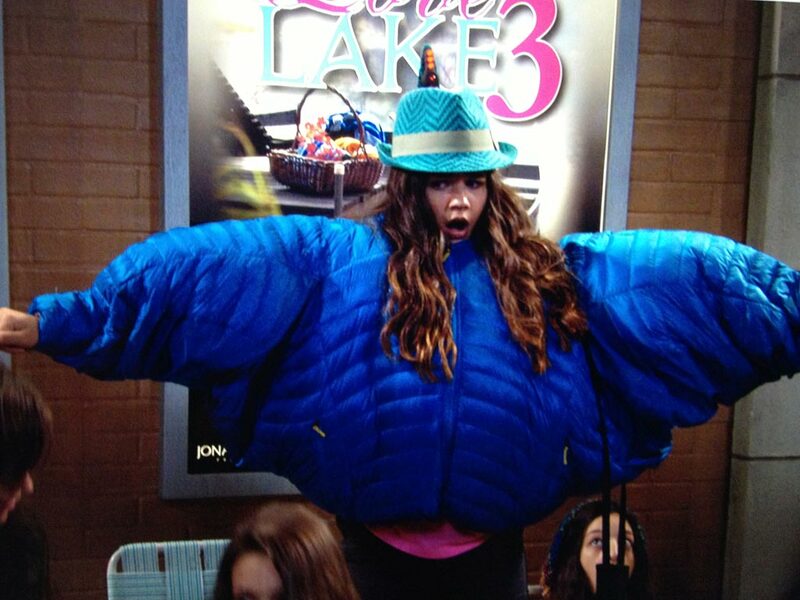 As puff pieces go, it’s pretty puffy – like this puffy. 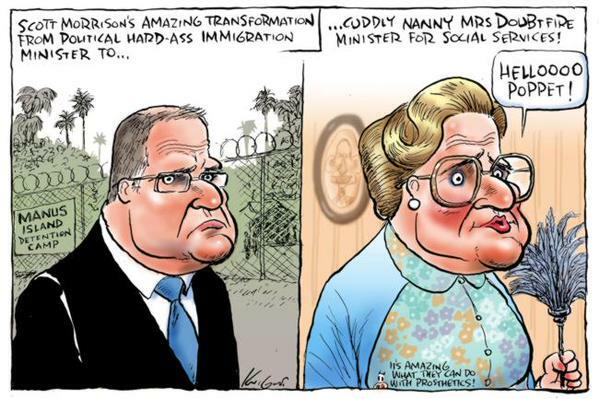 What it achieves is it reveals the remaking of the new Social Services minister – strong, yet soft and absorbent. As ever, the article is in italics. Scott Morrison says he is a fixer, not an ideologist, as he flags a kinder, gentler approach to welfare and families policy. Exclusive. Not sure why Scott Morrison talking about himself in a nice, positive way needs to be emblazoned as an “exclusive”. It’s this kind of journalism that we see a bit – somehow making it “exclusive” is supposed to be impressive. It’s a clear strategy to place this exclusive with Fairfax instead of the usual home of Government exclusives, News Ltd. If you want to appeal to a middle ground, to those who don’t like Morrison, put it in the outlets read by those people. In addition, it’s an obvious repositioning of Morrison as being not an “ideologist” (ideologue?) and just concerned with “fixing” things that are broken. Ok. This from the man who “fixed” the Immigration Department to being less about citizenship and more about “border security” and secrecy. So, let’s look at the kinder, gentler, smiling, family man ScoMo. Social Services Minister Scott Morrison has declared he is not “wedded ideologically” to the government’s controversial dole and pension budget measures and says he does not want to be “combative” in his new portfolio, a move that flags a more pragmatic approach to families and welfare policy for the Coalition. Comforting words, those – not ideological, more about getting pragmatic things done. Also, not “combative” – clearly showing that he realises that his image – his brand – up until now has been all about being combative with those foreign “queue jumpers” and the like. In an exclusive interview with Fairfax Media, Mr Morrison stepped back from the tough “lifters not leaners” rhetoric of the Coalition’s 2014 budget, instead talking of the need to inspire young people and get them to “engage” with the workforce. I have no need or interest or desire to take this policy area into a combative space. Essentially, this is a variation on the Team Australia idea – get involved or get left out. 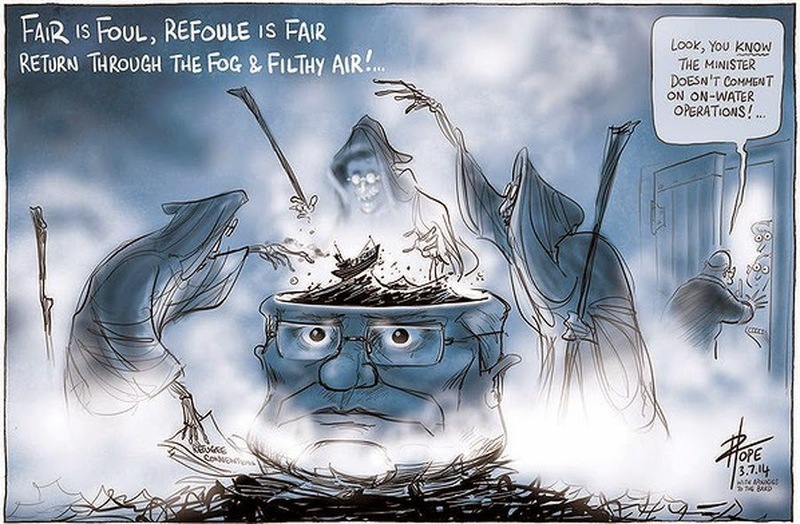 In a funny move, however, the article throws in this excellent Matt Golding cartoon that undercuts somewhat Morrison’s goal. Mr Morrison, who took on the massive social services portfolio in a move that surprised political insiders in December, has responsibility for developing the Coalition’s “families package”, a review of the welfare system and key budget measures that are stuck in the Senate – including a six-month wait before young unemployed people get the dole, an increase in the pension age and a decrease in pension indexation. Mr Morrison said that his aim was to get young people into work, get mothers back to work after having children, and help older Australians to stay in work. If people had better ideas than were currently before the Senate, he said they should “bring it”. “I’m trying to solve the problem. I’m not wedded ideologically to any particular one of these measures,” he said. 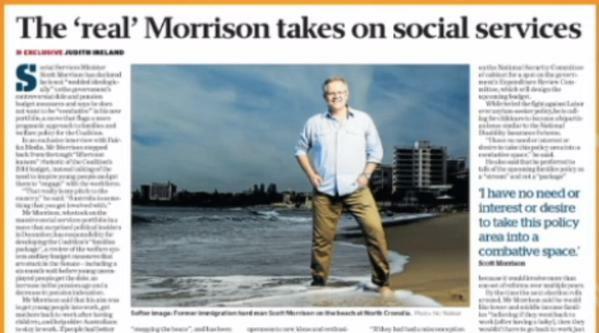 While on the one hand Morrison is trying to make himself seem more gentle, but there’s something menacing about the comment that anyone with a “better idea” can “bring it”, though it would be interesting to see him actually changing his mind – this being a clear message to cross bench Senators that this is an approachable, more absorbent ScoMo. The former immigration minister is best known for his hard-line role in “stopping the boats”, and has been touted as a potential replacement for Treasurer Joe Hockey and even Prime Minister Tony Abbott. Yes, hence why you have this exclusive…? But despite his “tough guy” public image, several welfare and community groups have said Mr Morrison has been surprisingly easy to deal with. They have talked about his openness to new ideas and enthusiasm for the portfolio. “I have no doubt that there have been some who have been quite surprised,” he said. There’s a number of boxes being ticked here. You know he can fix problems, right? Like the ones Tony wants him to fix, whatever they are. Making a guess as to what Tony wants him to do, even if the “I think” could suggest that Tony can be a little hard to read in terms of what he wants of people. But ScoMo is supportive of Tony, even if he’s unpredictable. With a portfolio that comprises about a third of the federal budget, Mr Morrison has swapped his role on the National Security Committee of cabinet for a spot on the government’s Expenditure Review Committee, which will design the upcoming budget. Well, yes, that would be part of the job. While he led the fight against Labor over asylum-seeker policy in opposition and government, he is calling for childcare to become a bipartisan issue similar to the National Disability Insurance Scheme. “I have no need or interest or desire to take this policy area into a combative space,” he said. See? NewScott is not combative, in case you missed that earlier. It’s also vital for the Government to be seen as soft and sensitive on childcare, which will continue to be a tricky policy area for a Government. Abbott’s ridiculous paid parental leave scheme set the Government back on its heels in that area, as it played to a 1950s vision of women at home rather than one of women wanting to return to work. It’s an area that needs careful stewardship because it’s a crucial vote loser with a number of key Coalition voter sectors if it’s done badly. He also said that he preferred to talk of the upcoming families policy as a “stream” and not a “package” because it would involve more than one set of reforms over multiple years. By the time the next election rolls around, Mr Morrison said he would like lower and middle income families “believing if they went back to work [after having a baby], then they wouldn’t have to go back to work just to pay childcare”. The government is yet to release the Productivity Commission’s final report into childcare, which it has had since October. Mr Morrison said he was now seeking “practical feedback” from the sector about how to implement ideas. “I won’t rush it for a political deadline,” he said. But then, this week, hey presto! It’s been released in the week after this puff piece. In Ireland’s piece about the Productivity Report, the new, softer, more absorbent Scott is revealed further. The government is yet to respond formally to the report, but Social Services Minister Scott Morrison told Fairfax Media that the Coalition was “considering” the nannies idea. “I think the recommendation reflects an observation that there needs to be a greater array of services offering to deal with a much more diverse range of needs,” he said. But he cautioned that there were issues associated with the nanny move, including losing staff from long day care centres. Morrison shows the knowledge that supporting the idea of nannies would scare away the new aspirational Coalition voter, to whom nannies is all very old money and British, a little like the Knights and Dames Abbott. In Morrison’s new language and approach as potential leader of the nation, it’s all about negotiation. 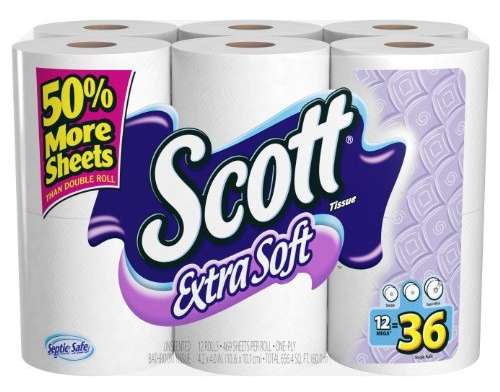 Question is, however, will people accept this new strong, but softer and more absorbent Scott. 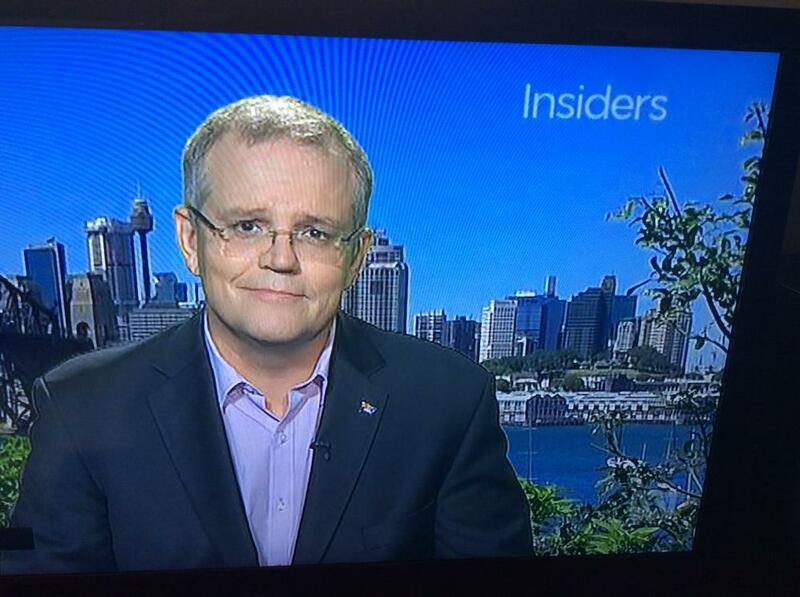 Also, here is ScoMo smiling on Insiders, after rolling out more of the softer side. It’s a touch unsettling. With thanks to @chrisjrn, this is the picture that accompanied this story in the newspaper version. Quite the softening. I am not sure the make over will not work. This mob must be coming desperate with their present leader. I love the theme of this government, and Morrison when it comes to childcare, all about getting women to work and the economy. Nothing about the right to stay home and devote ones time to the family. Nothing about quality of care. Nothing about the needs of the child. As the pope said, today people are here to serve money, not as it should be, money serving people. The “real” Morrison? Was he a fake Immigration Minister? Because that would explain SO much….. Both careful not to criticise Abbott directly.